Homesickness really does get the best of us sometimes. And as we get closer and closer to the holidays, sometimes it can feel a little, well, lonely. And even if we aren’t getting home sick, sometimes we just want more holiday cheer! 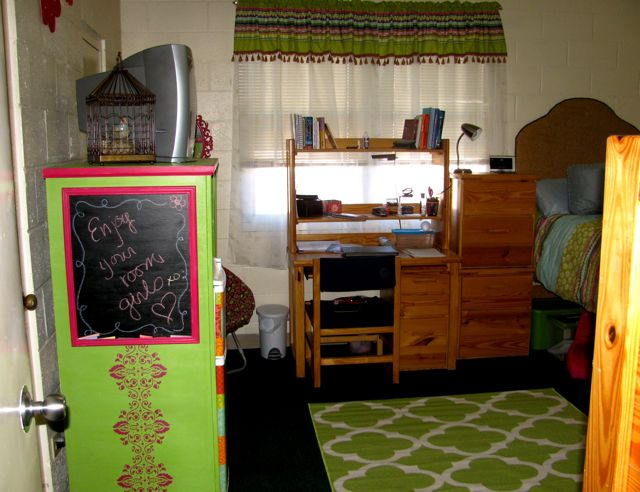 Decorating your dorm room can be a great way to feel more festive and lift your spirits. It can also help relieve some of that homesickness. 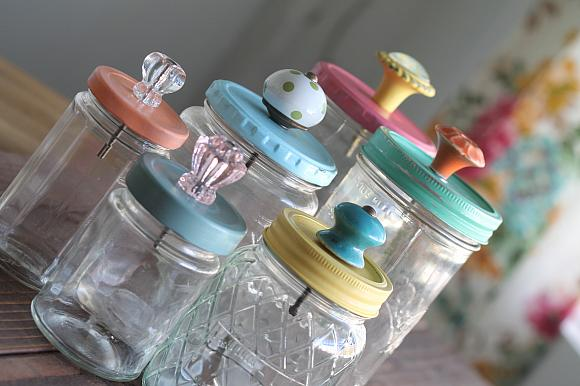 Decorations don’t need to leave you broke though, there are several ideas out there to decorate cheaply. The residence halls don’t allow candles. But, scented things without a heating element like wall plug-ins are okay. Sometimes you can get really nice ones at places like Bath and Body Works, and then all you would need is refills. They last a really long time as well. Walking into a room that smells like fresh cinnamon apples in the fall or a sweet tropical smell near spring break really makes a person feel at home. You, or maybe your roommate, might have a mini fridge that could be decorated. Magnets are a fun and colorful way to create a cheerful environment. Magnets are just about everywhere! They go on sale in the bookstores, sometimes they are in the dollar section at Target, so just be on the lookout. You could be surprised with all the locations you can find magnets. 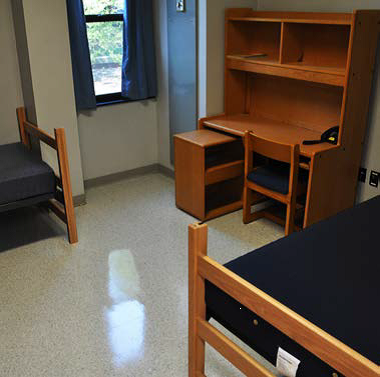 You know that loft bed that some of us in the dorms have? It’s pretty easy to hang decorations from under the bed. Ask your mom if she has a couple of extra ornaments she wouldn’t mind sparing and start hanging! Cut out some paper hearts and hang them under the bed for Valentine’s Day, or four leaf clovers for St. Patrick’s Day, really whatever you would like. As a general rule, most dorms (and other places) won’t let you hang things from the ceiling as it can be a fire hazard, but if you don’t have a loft bed don’t fret. Command Strips to the rescue! Hanging things on the wall is also a great way to add visual appeal. Cut out any design you want and put it on display. Hanging items on the wall also means less clutter on your desk and more space to do other things. 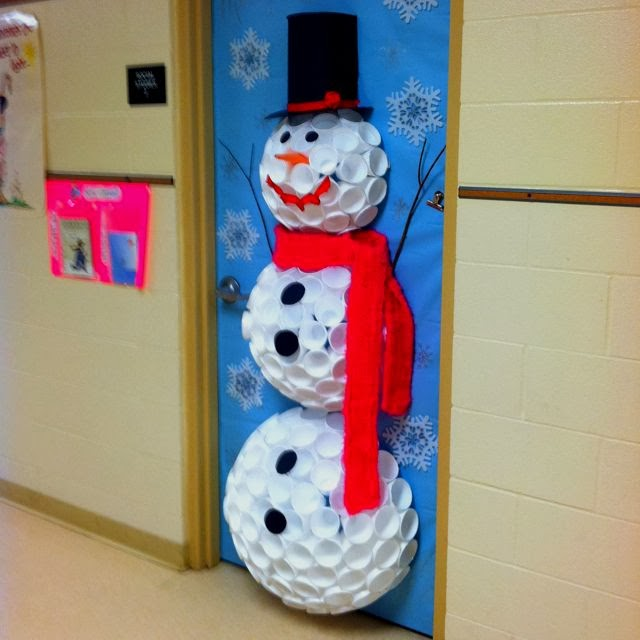 A pack of construction paper is not too expensive either so let your creativity show. Lights are always a plus! Nothing is quite as magical as those twinkling lights. If you have a roommate, it would be a good idea to ask their opinion, but who doesn’t like lights? Just get some of the indoor, or tree decorating kind, and use command strips to safely hang them on your walls. Sometimes people have extra lights in the house, so feel free to ask around before you buy. Even if you have to end up buying them, decorative/strand lighting is pretty inexpensive. For those of you who are really savvy, you can actually change out the bulbs on some the strands for different holidays and occasions. 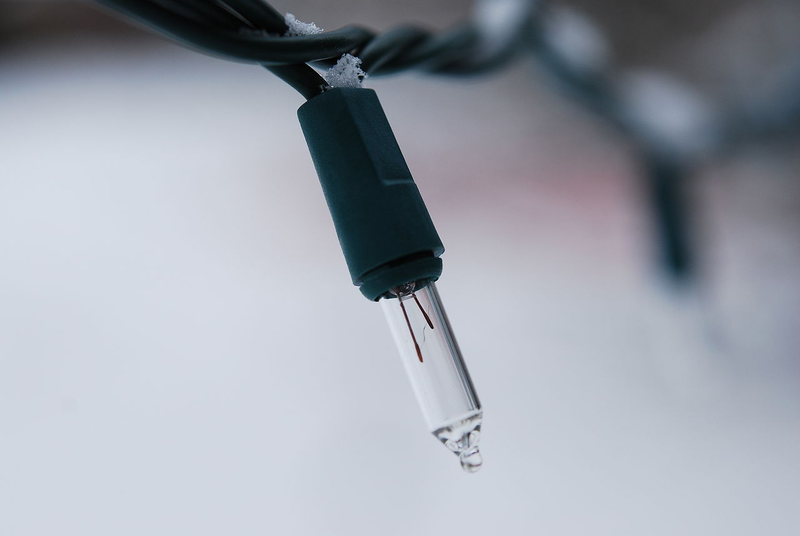 Most strands require just a pair of pliers to switch the bulbs. When decorating for the holidays, it doesn’t need to break the bank. There are lots of options out there. 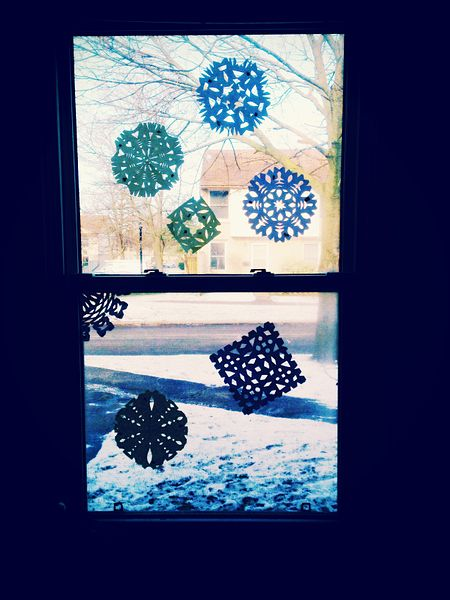 Decorating for the holidays is fun, easy, and can be a great way to help with homesickness. And, what’s nice is that as the seasons and holidays change, so can the decorations. Besides, a change of pace can help you feel refreshed and spread the holiday cheer!